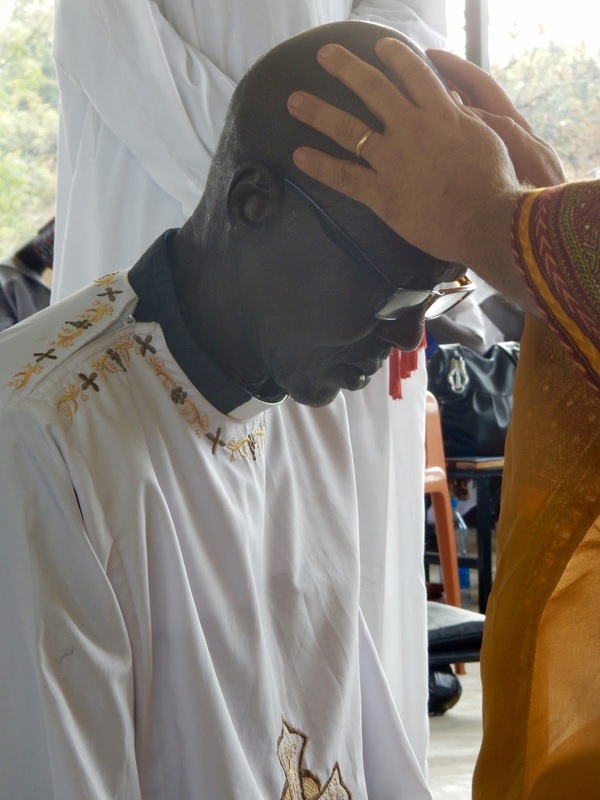 We were recently in Kenya, exploring partnerships with the Kenyan church and looking for a new dean for our St. Frumentius’ Anglican Theological College. 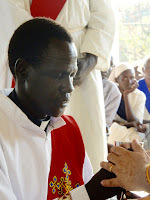 The Diocese of Marsabat, Northern Kenya, under Bishop Daniel Qampicha Wario, has been reaching out to those who have not heard of Christ in the south of Ethiopia. 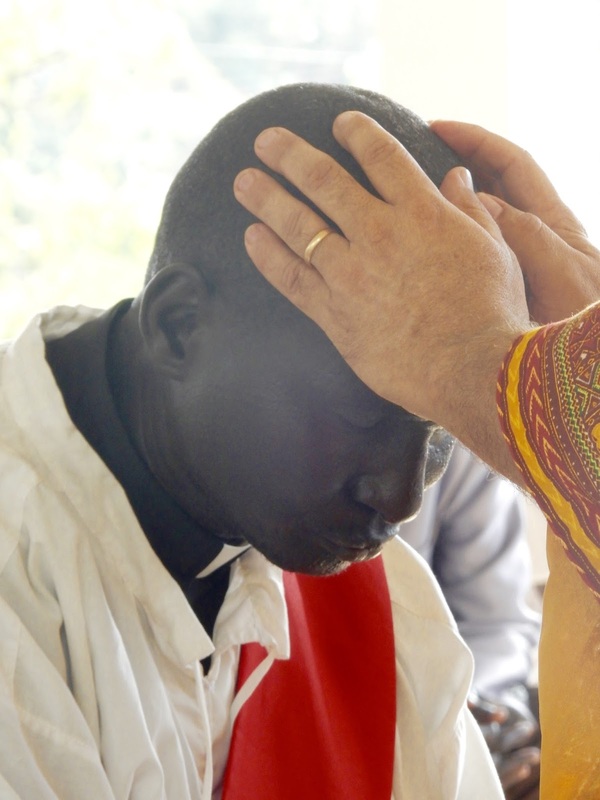 We visited the diocese to encourage this work and to teach on mission and healing prayer. 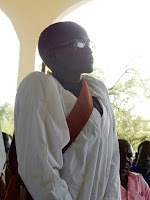 In the photo above, Grant and Qampicha are standing on the ‘pulpit’ of the first church in Elabor, Northern Kenya, during an outreach to the people of this area. 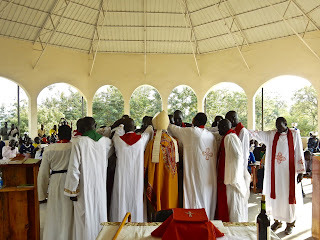 This is a photo of our St Frumentius' Anglican Theological College Chapel, during our recent, “Area Assembly” the yearly synod-like gathering of our Episcopal Area. At Area Assembly, I received this letter carried by Rev Isaac Pur. It is from the Jum-jum people. 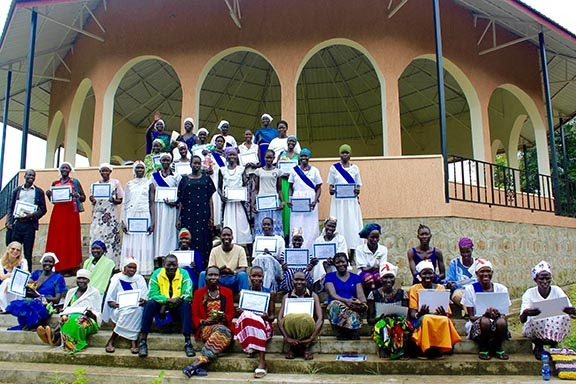 There are now only about 200 Jum-jum Christians in the world. Isaac Momma, our Mabaan-speaking priest and the regional dean of the churches in the Assosa region of Ethiopia, is now a full time student at St Frumentius' Anglican Theological College. He reached out to the Jum-jum who were in Sherkole Refugee Camp, Assosa. This work has been continued by Isaac Pur, now acting Regional Dean during Isaac Momma’s time as a student. Here is the letter they sent; unedited, yet elegant in its cry for the need for theological education. As a Jum-jum congregation, we are here, ready to make our own church. But the problem is the lack of the preacher or we don’t have anyone who is well trained to preach the gospel. Therefore please we need you to help us by giving us the chances when there is second round for the theology or college. 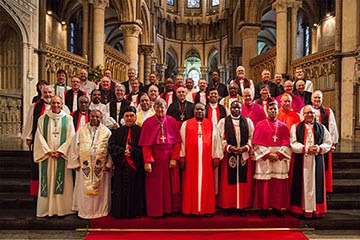 We join the Anglican church from 2011 up to 2016 but there is no any improvement or any changes. But when you appeared, also our names appeared. Therefore we became happy and happy. And we hope everything will continuous like in this way. So you know even in our home land we have more than 200 Christian within our tribes without any pastor or even not deacon (preacher). Therefore when you will help us we will be strong and lead our people as our heavenly Father want us to do. Our main problem is this. Now we have those who know how to preach like Pastor Isaac Momma and Pastor Isaac Pur and so on. 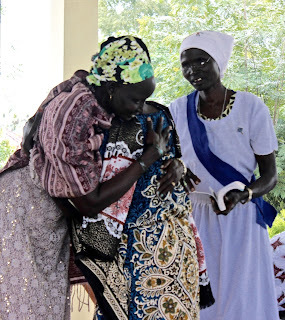 But maybe after the short period of time we will go back to our home land (North Sudan) and Pastor Momma will go back to his home land (South Sudan) and what will we do when we still have no pastor? We will remain as it is like before. For example, as you know, when there is no shepherd, the hyena can do what they want. And we hope you will help us to report all this to Bishop. Second example: The son can make a lot of mistake when the father didn’t teach him properly. 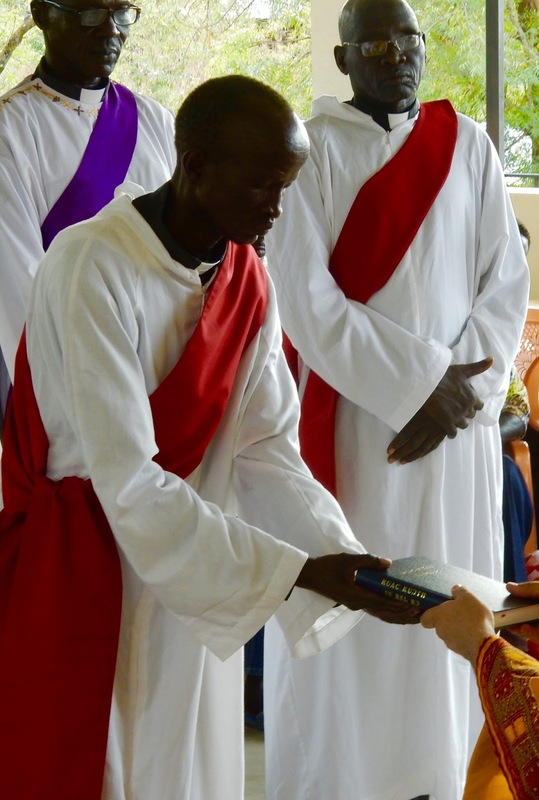 ~ For a new congregation which is developing among the Tama-Koi people and for representatives to the Koma and Shurma people expressing interest in the gospel. 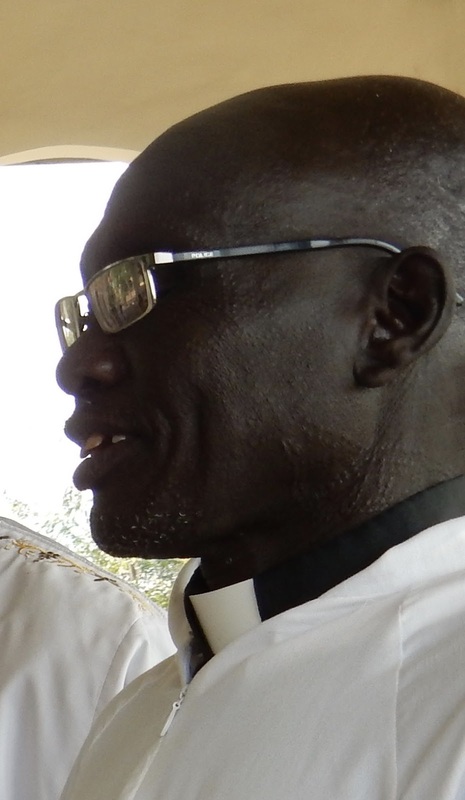 Darash, our Anuak priest for St Barnabas Church Gambella, is a good story-teller. Darash’s sermon on unity points to the sad reality that our world is full of division - politically, culturally, ethnically, linguistically. We more often see our differences as curses instead of blessings, as reasons to fight rather than as opportunities to learn. This is true as much in the church as anywhere else. Christians are divided. Some divisions have long and complex histories. Many stem from a right desire to honour and live the truth. Others are just petty. Sorting out which is which is no easy task. I have recently been given the opportunity to be involved in two initiatives which seek to find common ground between Christians and to learn to live and work together. The first is called IARCCUM - the International Anglican Roman Catholic Commission on Unity and Mission. IARCCUM’s task was not to hold another theological forum to sort out what issues unite or divide us but rather to explore how we could witness to Christ together; to point to the love God seen in the saving work of Christ, proclaimed and lived by the church in the power of the Spirit. There were many profound and moving moments at the IARCCUM meetings but none more meaningful perhaps than at the vespers service at the church of St Gregory in Rome. (Gregory, by the way, was the Pope who send St Augustine of Canterbury to evangelise the British Isles.) During this service Pope Francis and Archbishop Justin blessed and commissioned the nineteen pairs of bishops to go out into the world together to witness and live for Christ. 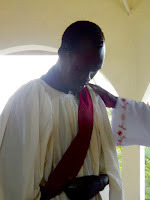 At the moment of commissioning we were each given a cross. These were no ordinary crosses - they were Lampedusa crosses. Lampedusa is an island belonging to Italy, the closest bit of Europe to the African continent. Small boats filled (or overfilled) with refugees leave Tunisia or Libya and head for Lampedusa. Many of these boats don’t make it. Many refugees, most from Ethiopia, Eritrea and Sudan, drown attempting the voyage. Moved by the plight of these migrants a Lampedusa carpenter began fashioning crosses from the wood of refugee boats that washed up on the beaches of the island. 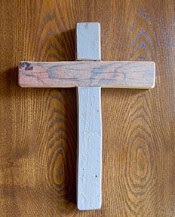 Each of the IARCCUM bishops received one of these simple, rough crosses, most still covered in the cracked paint or bits of grease which betrayed their origins. 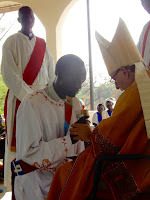 These gifts emphasised for us that our ecumenism is not simply a matter of doctrine - no matter how important theological truth is - our ecumenism is an ecumenism of bearing witness to the cross of Jesus and walking in his way with those who suffer in this world. Back in Addis, I was then privileged to be a part of the Lausanne-Orthodox Initiative, a dialogue between Orthodox and evangelical Christians. 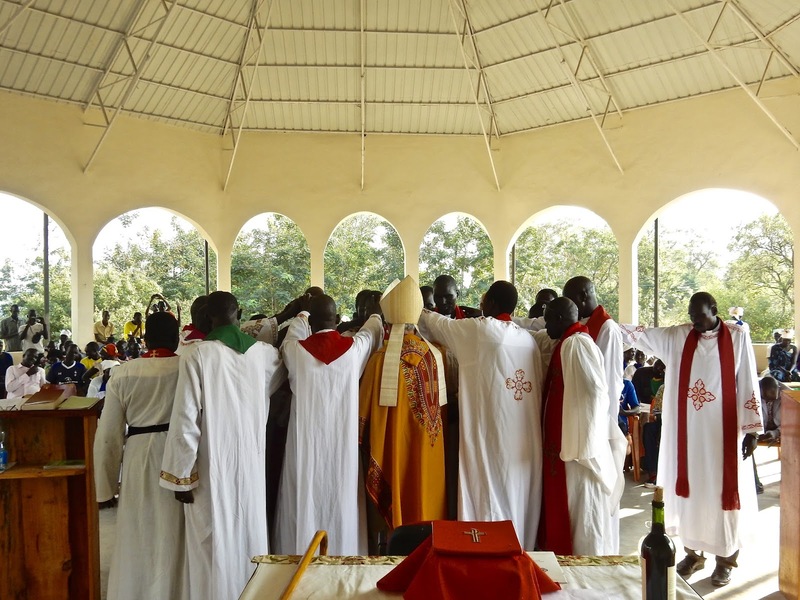 The presence of Ethiopian Orthodox at this gathering was extremely significant as both Orthodox and protestants acknowledged and looked beyond past prejudices to focus on the abundant opportunities for our different churches to pray and work together. For me these events were signs of hope in the midst of the mistrust, despair, fear and violence of a world which seems more and more divided. 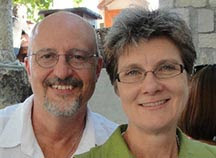 “It was a very big and great plan from God who brought people from far away to live and learn together. Most of the points said by my sisters are all correct and I agree. Especially Moringa. Every home has Moringa - no one has to go to borrow. I ask all my sisters and brothers to pray for all my people. Now children are healthy. We know how to protect them from many different diseases”. 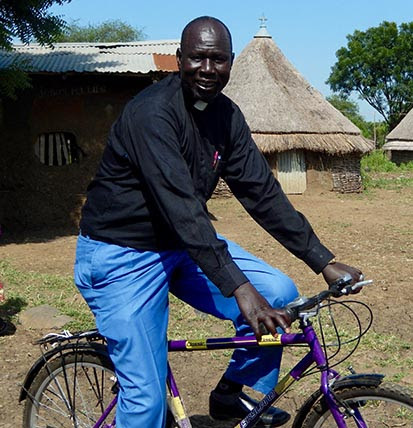 Rev Simon Kerr with his new bicycle.